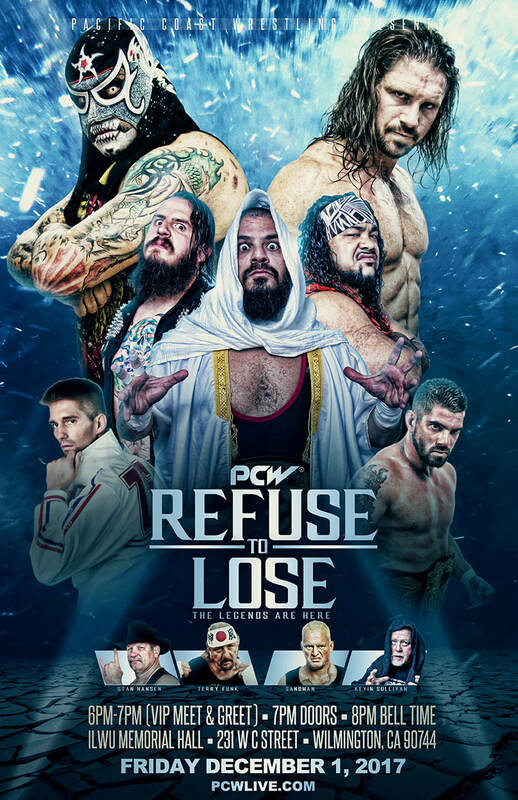 PCW ULTRA | REFUSE TO LOSE | 12.1.17 | WILMINGTON, CA. 1.) Joe Graves defeated Brody King by submission. 2.) Brian Cage v. Hammerstone ended in a NO CONTEST. 6.) Douglas James (c) defeated Zack Sabre Jr.
​ to become the NEW PCW ULTRA HW CHAMPION!